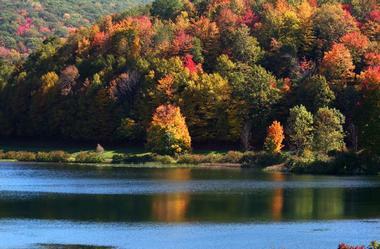 The capital of Pennsylvania, Harrisburg offers visitors a choice of museums, attractions and scenic parks. Spend a morning at the 130,000 square foot Whitaker Center for Science and the Arts, take a tour of the Pennsylvania State Capitol, explore the National Civil War Museum, and visit the State Museum of Pennsylvania. Couples can take a romantic ride in a riverboat on the Susquehanna River, listen to a performance by the Harrisburg Symphony Orchestra and stroll through one of the parks. 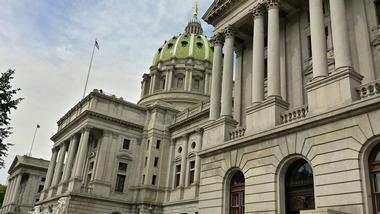 Here are the best things to do in Harrisburg, Pennsylvania. 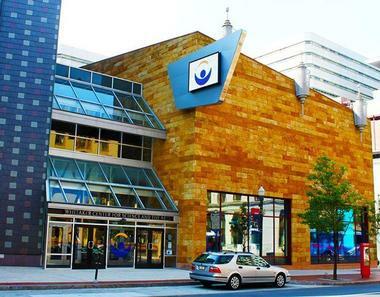 Located on Market Street, the Whitaker Center for Science and the Arts is Central Pennsylvania’s most important center for promoting art, culture, education, and science. 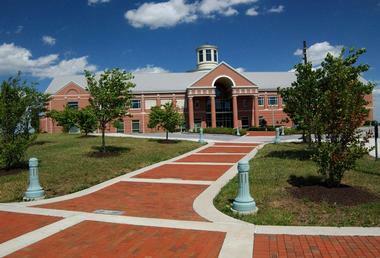 Opened in 1999, the 130,000 square foot center contains three venues: the Harsco Science Center, the Select Medical Digital Cinema, and the Sunoco Performance Theater. The Digital Cinema features programs such as The Vatican Museums 3D and Pandas: The Journey Home 3D, while the Harsco Science Center offers exhibits like KidsPlace and Forces of Nature. The center is open from Tuesday through Sunday and welcomes groups such as Boy Scout and Girl Scout Troops, youth groups, and senior groups. 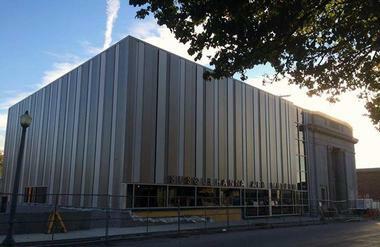 The center can be rented for special occasions like birthday parties. 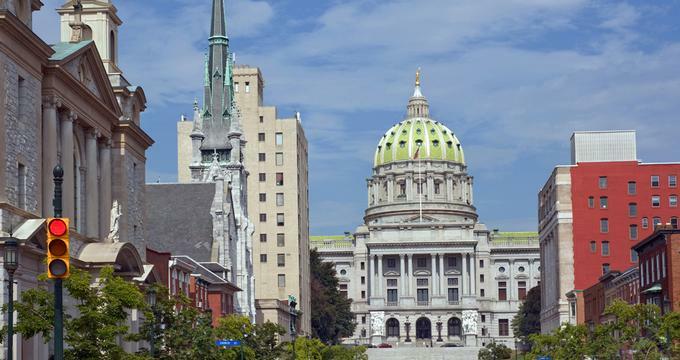 Located on North Third Street and State Street in downtown Harrisburg, the Pennsylvania State Capitol is Pennsylvania’s seat of government. Designed in the Beaux-Arts style in 1902, it was built and inaugurated in 1906. The Capitol houses the state Senate and House of Representatives as well as the offices of the Governor and Lieutenant Governor. Because of its many murals, sculptures, and stained glass windows, the building is referred to as a “palace of art,” and it has been designated as a National Historic Landmark. The Welcome Center located in the East Wing of the Capitol is open from Monday through Friday, and tours are offered nearly every day of the week. Fort Hunter Mansion and Park is a preserved 18th century mansion and park with walking trails located on North Front Street in Harrisburg. The mansion sits on a bluff that overlooks the Susquehanna River. Professionally guided tours of the mansion are offered from May to December. Throughout its long history, Fort Hunter has served as a wartime fort, a center for frontier trading, and a private residence. The mansion hosts events such as Archaeological Excavation, Fort Hunter Day, Downton Dressing: More Fort Hunter Fashions of the Downton Abbey Era, and more. The park is open every day, while the mansion is open from Tuesday through Sunday from May to December. 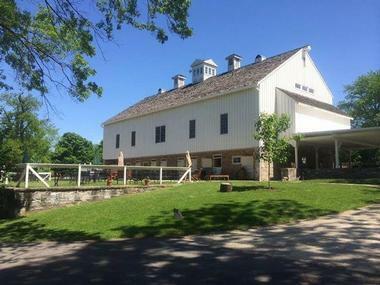 Located on Devonshire Road, Spring Gate Vineyard is a family owned winery and vineyard near Harrisburg. Sitting on 60 acres of farmland that has been owned by only three families since the 18th century, the vineyard first opened in 2010. The property dates from the Revolutionary War, and beautiful fields, orchard, streams, and wildlife surround the property. Located on Wildwood Way in the beautiful hills of Central Pennsylvania, Wildwood Park is an urban park on the outskirts of Harrisburg. It is a sanctuary for many plants and animals, some of which are endangered. 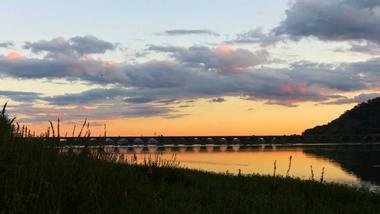 Visitors can see the wildlife as they walk along the trails around the lake or on the boardwalks. The park is also the home of the Benjamin Olewine III Nature Center, which was built in 1999. There are exhibits and glass bird blinds where visitors can observe the many species of birds that feed on the lake. The State Museum of Pennsylvania is dedicated to preserving the state’s culture and history. Also known as the William Penn Memorial Museum because of the large statue of Penn in the museum’s central hall, the museum is located on North Street in downtown Harrisburg. With more than three million objects, the museum consists of four floors of exhibits that cover the history of Pennsylvania from the prehistoric era to the present day. 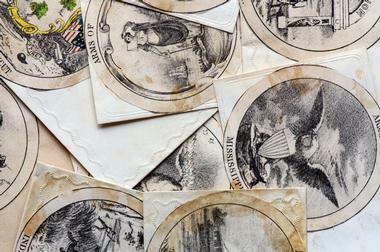 The collection features numerous Civil War artifacts as well as artwork and dioramas. Some of the planetariums shows include Dynamic Earth, Grossology and You, and Solar Superstorms. The National Civil War Museum houses a permanent collection of 24,000 objects related to the American Civil War from 1861 to 1865 as well as post-war history. Housed in a two-story brick building, the museum is located on Lincoln Circle and is affiliated with the Smithsonian Institution. There are 17 galleries and a theater that tell the entire story of the war in an objective way starting from 1850 and leading to 1876. Understandably, the museum emphasizes the war years. The exhibits contain artifacts, documents, manuscripts, and photographs, and the museum also has a temporary exhibit gallery. Located on North Fourth Street, the Pennsylvania National Fire Museum is housed in the 1899 Victorian firehouse called the Reily Hose Company No. 10. 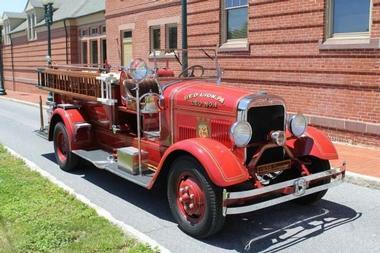 Dedicated to the state’s fire fighting heritage, the museum displays a large collection of artifacts that range from historic equipment from the past to the fire tools typically used today. The museum’s collection includes examples of hand-drawn fire fighting equipment as well as many pieces of vintage fire apparatuses. Exhibits include artifacts, informational displays, images, and much more, all related to the history of fire fighting in the region. The museum also contains a video presentation area and gift shop. 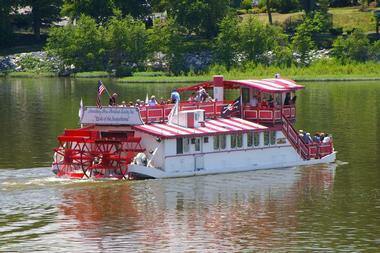 The Pride of the Susquehanna is a 120-passenger riverboat that offers rides on the Susquehanna River in Harrisburg. Located on Championship Way, the riverboat offers daily sightseeing cruises during the summer months. The narrated cruises last 45 minutes, and they provide passengers with information about the history and sights of the region. Passengers can enjoy the ride from inside the climate-controlled salon with its Galley Snack Bar, or go up to the open-air top deck for fresh air and sunshine. The riverboat also offers a classic two-hour evening dinner cruise that features a three-course meal and a performance by live musicians. The Harrisburg Symphony Orchestra has a long history that goes back as far as the Great Depression; it gave its first concert in 1931 at the William Penn High School in Harrisburg. Shortly thereafter, the orchestra moved to the Forum Auditorium, which still serves as its performance venue today. The orchestra’s musicians come from Central Pennsylvania as well as from major cities such as Baltimore, New York, Philadelphia, and Washington, D.C. Operating under the Harrisburg Symphony Orchestra, the Harrisburg Youth Symphony Orchestra, founded in 1953, is one of the oldest youth symphonies in the United States. Education programs include Musical Chairs and Welcome to the Concert, among others. Located on North Third Street, the Susquehanna Art Museum is dedicated to presenting art to the Central Pennsylvania community. Some of the museum’s exhibits include The Edgeless Divide, Towards a New/Old Architecture, Quilts 20/20, Found in Translation, and many more. The museum offers educational opportunities such as adult and youth classes, labs, lectures, seminars, and workshops. The museum offers group tours that last between 45 and 60 minutes, and an experienced docent or a member of the museum education staff leads the tour. The museum hosts many special events such as Landscape Study Group and Saturday Morning Art Club. The museum is open from Tuesday to Sunday. More places to visit: 25 Best Things to Do in Philadelphia. The John Harris-Simon Cameron Mansion is a historic building located on South Front Street in the Harrisburg Historic District. Built in 1766, the mansion is one of the oldest buildings in Harrisburg and has been designated as a U.S. National Historic Landmark. It is also known as the Simon Cameron House, the John Harris Mansion, and the Harris-Cameron Mansion. In 1941, the mansion and its contents were donated to the Historical Society of Dauphin County. The mansion is the home of this society founded in 1869. Today, the mansion and its research library are open to the public for tours from Monday through Thursday. The mansion can also be rented for special events. 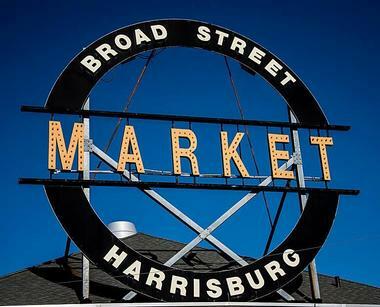 The oldest market house in the United States, established in 1860, Broad Street Market is a Harrisburg institution and landmark. It is the local's favorite source of fresh, locally-grown, seasonal and organic produce, baked goods, meats, and prepared meals. With more than 40 vendors offering everything from soft pretzels to ice cream, sandwiches and soups, the market is also a gathering place, where families come to have a meal and get supplies for the upcoming week. This market has something for any taste, even organic meals and a number of ethnic restaurants and groceries. Several quaint boutiques sell gifts and household items. The market is open on Friday, Saturday and Sunday.